Our righteous Father Lazarus was born in 967 in Magnesia of Asia Minor, and passed through various regions of the East, visiting monasteries. He was tonsured a monk, and then ordained priest, at the Monastery of Mar Sabbas in Palestine. In 1005 he returned to his homeland, and beginning in the year 1012, he built the monasteries that are on Mount Galesion. He raised up a pillar, on which he lived as a stylite for many years, enduring unspeakable hardships for the love of Christ, and reposed in the Lord in deep old age in the year 1053, during the reign of Constantine Monomachus (1042-1055). 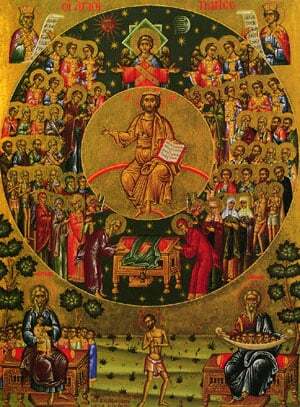 Share the feast of Lazarus the Wonderworker with an icon greeting ecard.